I am Gleek! I love the show, and I am anxiously awaiting the next season. I also am an aspiring actress/singer. I have always loved to sing, dance and perform. However, for a long time I always put other things ahead of this true passion. Just last year I decided I was tired of waiting for something to happen to me. If I want to be actress or singer, I knew I needed to do something about it. So I signed up for an acting class. I was instantly in love and signed up for another immediately. One day in late December I was at Mr. Maxwell's (Josh) house. I was watching my all time favorite show, Snapped, which is about women that kill their husbands. (Don't judge me...I like bad tv!) Anyway, that is when an add for an all new competition series aired during the commercial break. The Glee Project was a series looking for a new cast member for the Fox Show Glee...I could hardly believe me eyes or ears. Contestants could enter via Myspace or come to two different casting calls: one in Chicago or the on in Fort Worth. It was too late for both the Myspace entry or the Chicago casting call. However, the Fort Worth one was three weeks away. I knew I had to at least try...I would regret it if I didn't... plus it was fate that I saw the ad for the show in the first place. All of cosmic stars were aligned in my favor: 1. My best friend Robley just so happens to live in Fort Worth. 2. I had enough miles for a free flight. 3. I just wanted to do it! 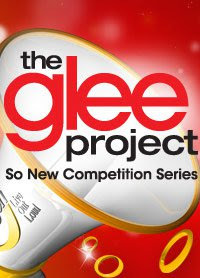 For the next three weeks, after picking my song from the provided song list, I ate, drank, and slept The Glee Project. I practiced my song choices for my mom, Josh, and all of my friends. The night before I left I even put on a half time performance during the Cotton Bowl. On a chilly (and VERY early) Saturday morning in DC I boarded my flight to Houston. From there I was catching a connecting flight to Dallas. (Yes I know there are direct flights to Dallas...but this was a free flight people!) After a slight crisis and a flight delay, I made it to and even chillier Dallas. I got my lil Red Rental car and hit the road to Fort Worth, singing the whole way there. Robley and I had a fun evening of chatting, getting frozen daquries at the drive through, and eating Mexican food. We made a pallet in the living room, and I fell asleep while she watched "The Craigslist Killer" on Lifetime. That next morning, I woke up bright and early (4am to be exact) to get ready. The doors to the competition weren't opening until 7am, but I have seen American Idol and I had a feeling people would be lining up. As I looked out the window, I noticed that it was POURING down rain. So much for a good hair day. Robley checked the weather report and it was close to freezing. So after putting on tons of layers, a tank, sweater, sweatshirt, and coat to be exact, I got in my car and headed to the contest. Sure enough, there was already a line around the block. I quickly got in line and started visiting with my competition. 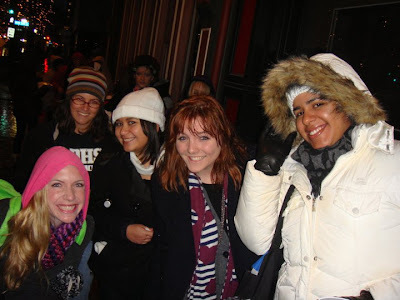 After making a few friends (who were all 18-haha) and waiting for an hour or so, the line started moving. THEY WERE LETTING PEOPLE IN. I guess they decided that the freezing temperatures and frigid rain were a good reason to start things a bit earlier. After about another 45 minutes of shuffling I finally made it into the building and was given a number. We were then all put in a room where we sat in sequential order in lines of about 50. This was the holding room till the competition started. It was fun and lively. I met people from all over the U.S. and from all walks of life. The environment room reminded me a lot of a high school pep rally. People were singing and chanting...everyone was pumped. Finally, the competition started, and in groups of 50 people were led to other rooms to begin. From the groups of 50, people were split into smaller groups of 4 and sent in to the judging rooms. I was so nervous. My heart was pounding and my palms were sweaty. The judges gave us directions on how to proceed, and then it was my turn. I sang my song, Gives You Hell, and felt confident. Then the next three contestants went. The judges announced two numbers that were moving on to the next round and one of them was me!!! I was so excited. I was given a bright orange wrist band and sent into another holding room. This is where things get really exciting. 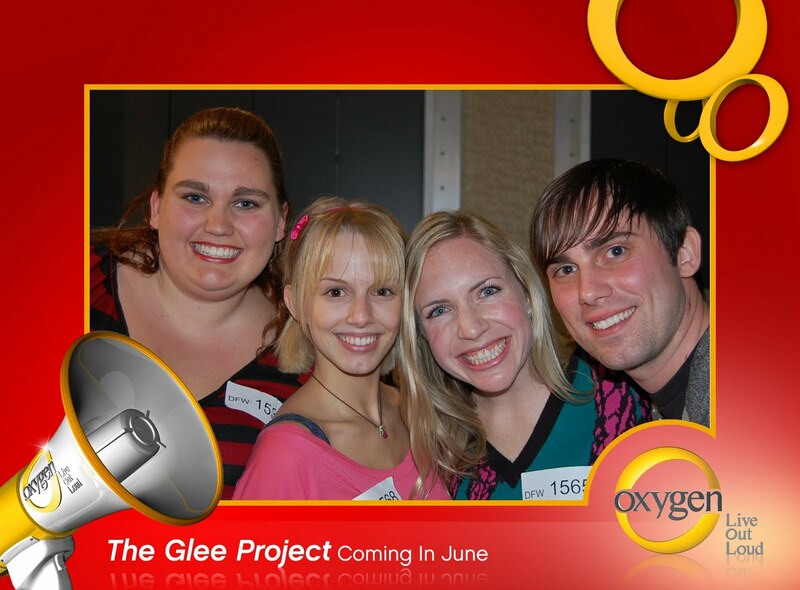 After about an hour in this room a group of us were told that we were going to go directly to Glee's Casting Director, Robert Ulrich. I could hardly contain my excitement. Only a select few of us were chosen to perform for him. After calming my nerves, I practiced my song while I waited for my turn. As I walked in to the darkened audition room, all I saw was Mr. Ulrich and the camera man. Robert told me to begin when I was ready. I took a deep breath and sang like I have never sang before. I mean it...I could feel everything I was saying. When I finished, I felt on top of the world. "You have a very unique sound and I love your voice." he told me. "Thank you" I said. I left the room and waited. I was so proud! Robert Ulrich liked me! He really liked me. After about 15 minutes an assistant came out and told me...that I would not be moving on. However, Mr. Ulrich wanted to keep my information for future projects. Apparently they had already decided what direction they were wanting to take the show, and I just didn't fit the part. I couldn't have cared less! Haha! I was still elated that Mr. Ulrich thought I had a unique sound. (Earlier someone had told me that too...and I think it was because I sang an All American Rejects song with a country twang.) Trying out for the show had given me a high like nothing I had ever felt, and I knew I had to do it again. I walked outside, in the now snowy weather, positive that I had to do more. Moral of this story: Go for your dreams...no matter how crazy they might seem to others! 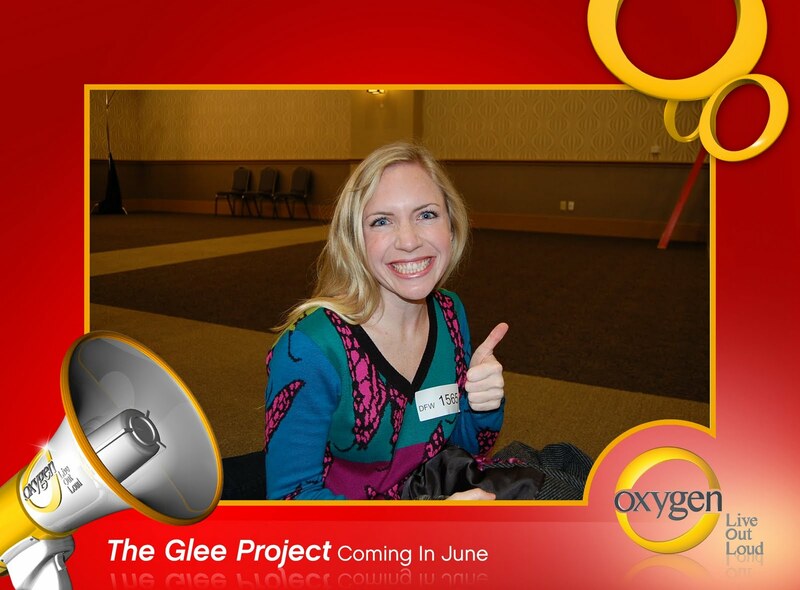 Checkout The Glee Project on Oxygen every Sunday night 9pm Eastern time.